Clear all jellies and reach 38000 points to complete the level. This level has medium difficulty. For this level try to play from the top part of the board and make striped candy as you get the chance. 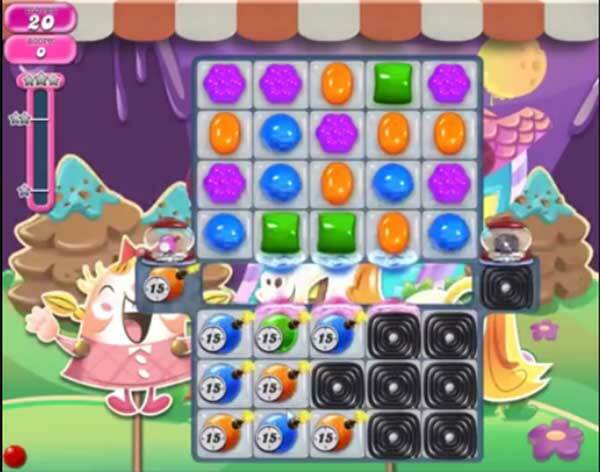 Combine striped candy with other special candy to break more time bomb and blockers that are in bottom part of the board. After play with remaining jelly candy to break them all. Mine only has 12 also and can not beat it! I only have 12 moves. How are you suppose to have a chance at winning! Ready to quit! How come lollipop hammers don’t work on licorice covered tiles?